Wm. 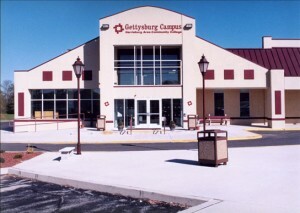 F. Hill and Assoc., Inc. was hired by Harrisburg Area Community College of Gettysburg to help alleviate a need for increased parking within constricted space and within Township limitations. 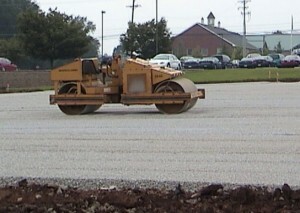 The solution was a relatively new permeable concrete paving for a parking lot. The project consisted of a Site Development Plan for an 89 space parking lot located along Old Harrisburg Road, Cumberland Township, Adams County. Due to current land uses, there was limited space for a traditional parking and stormwater detention area. The solution was to utilize subsurface stormwater retention as well as the permeable concrete paving.